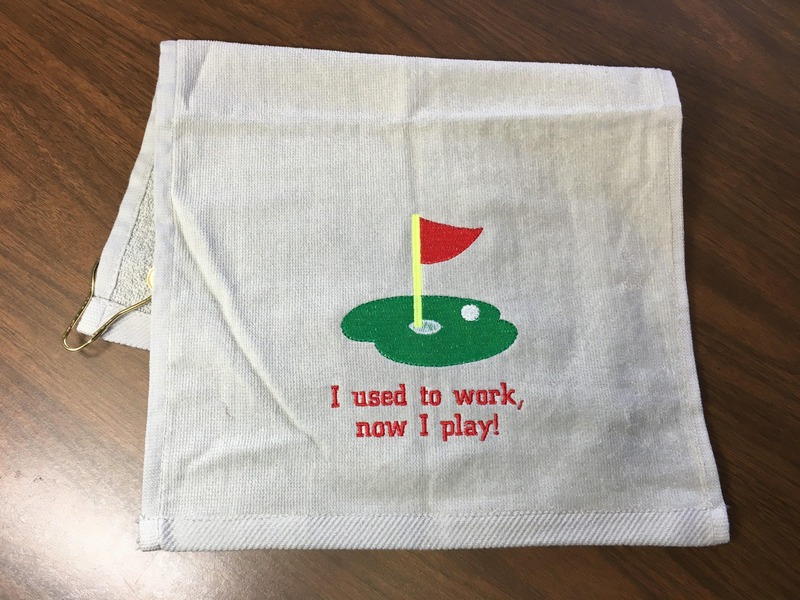 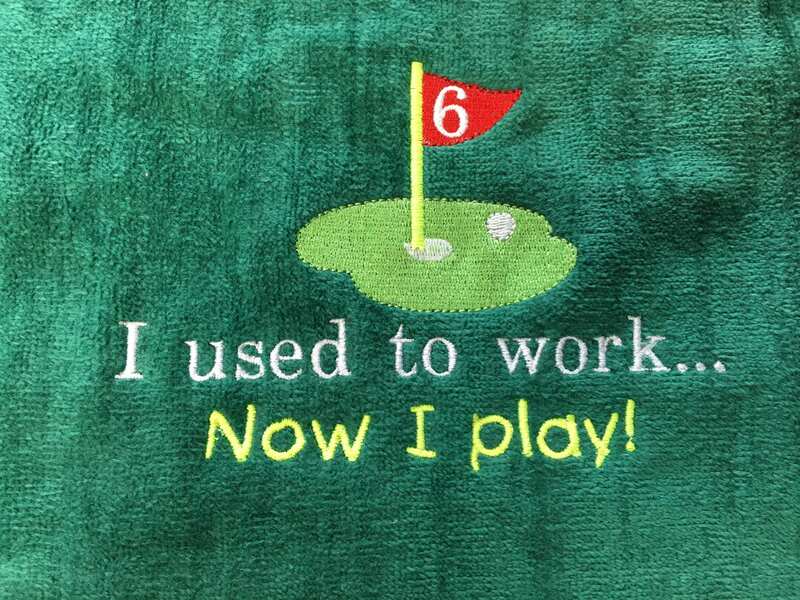 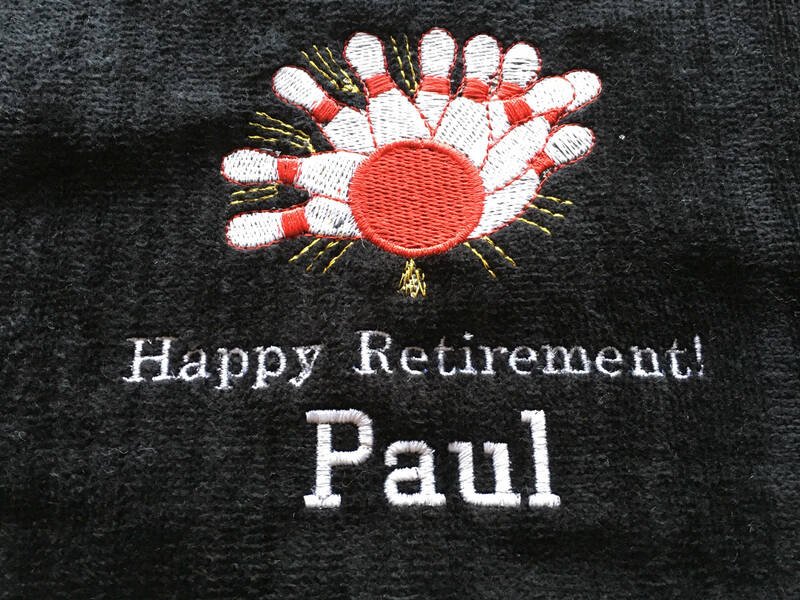 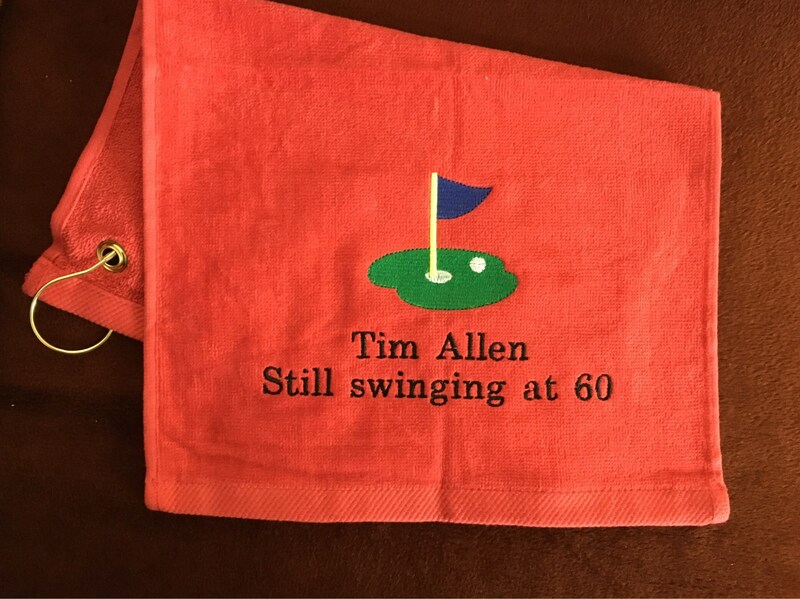 Retirement towel. 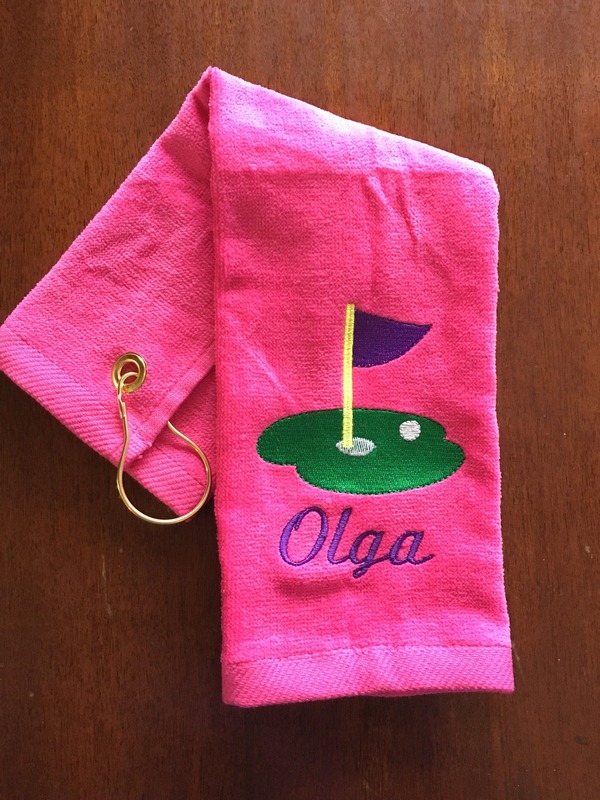 Custom personalized embroidery. 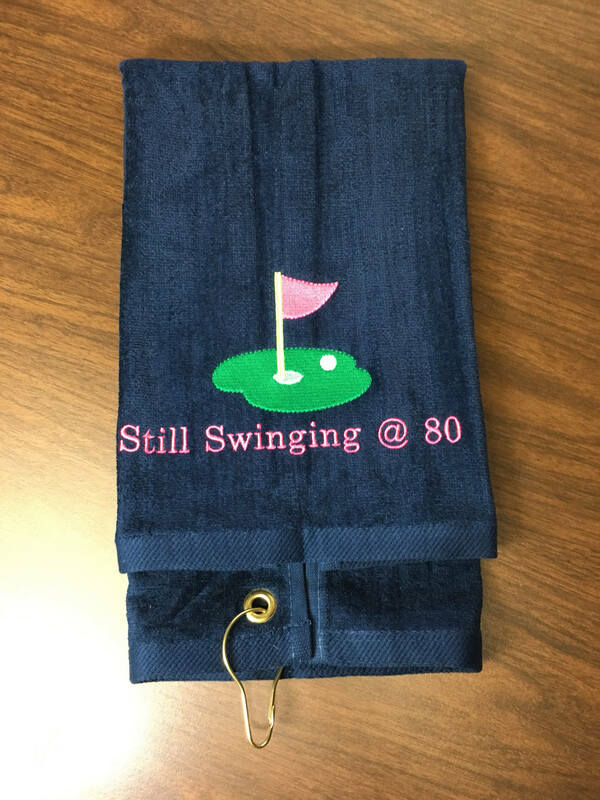 This listing is for one towel. 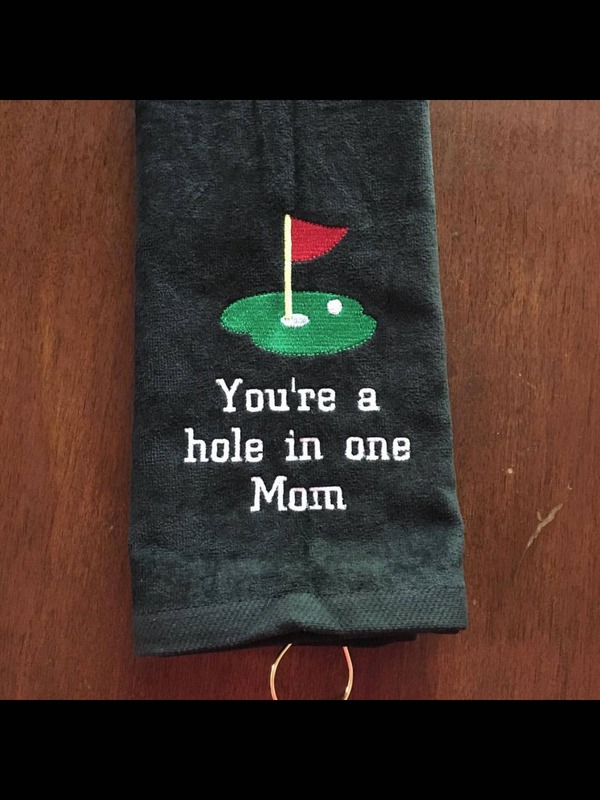 Your choice of design and lettering. 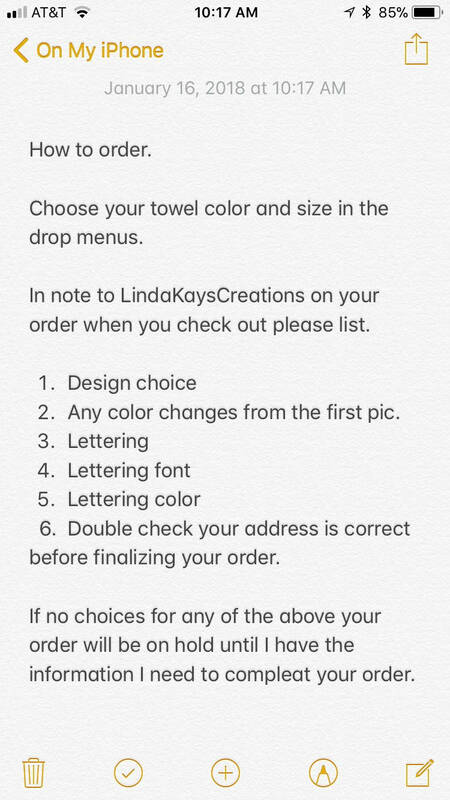 Please list all your ideas in note to LindaKaysCreations on your order when you check out or message me. 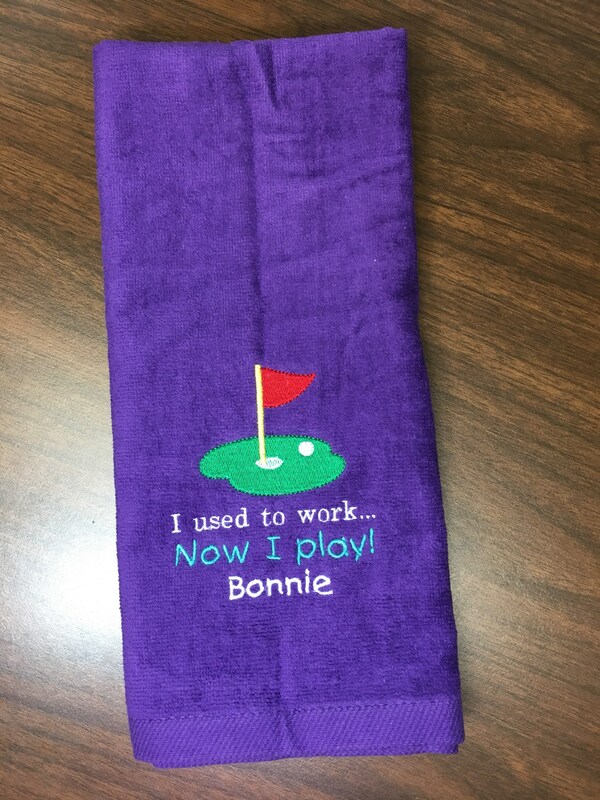 Towel is 17 x 11 or 16 x 26 terry velour with grommet in corner. 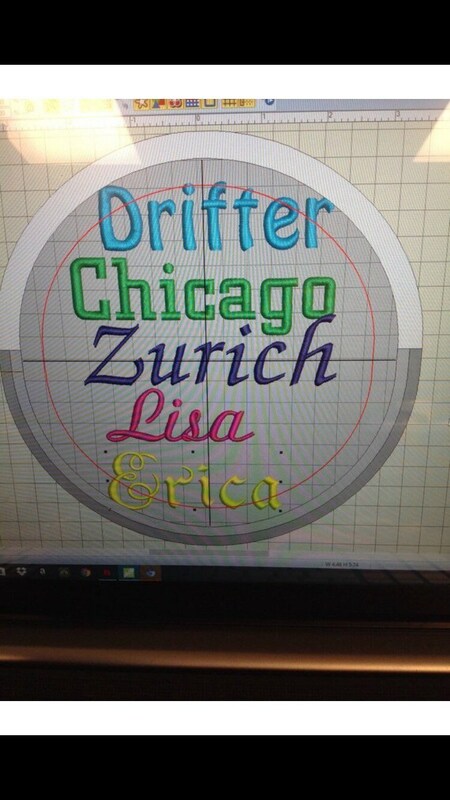 Choose color and size in the drop menu.